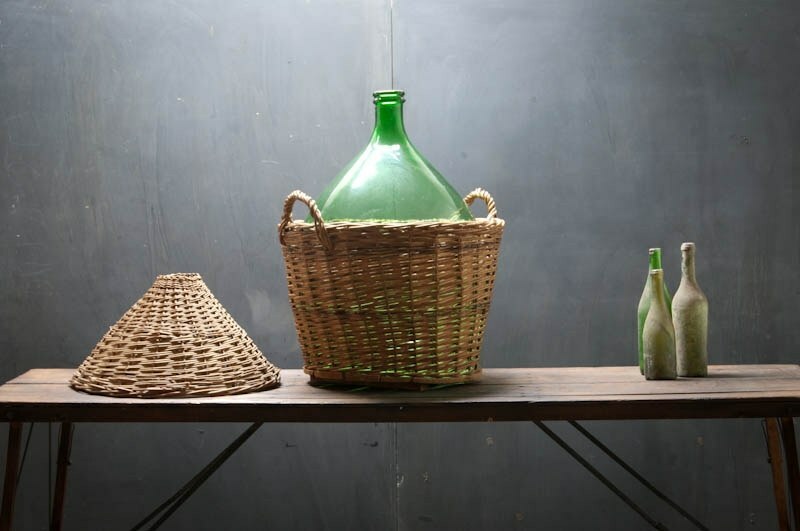 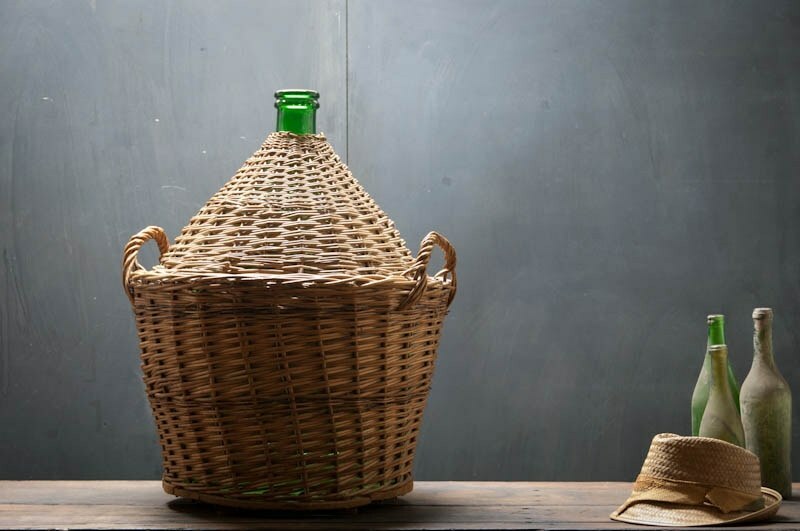 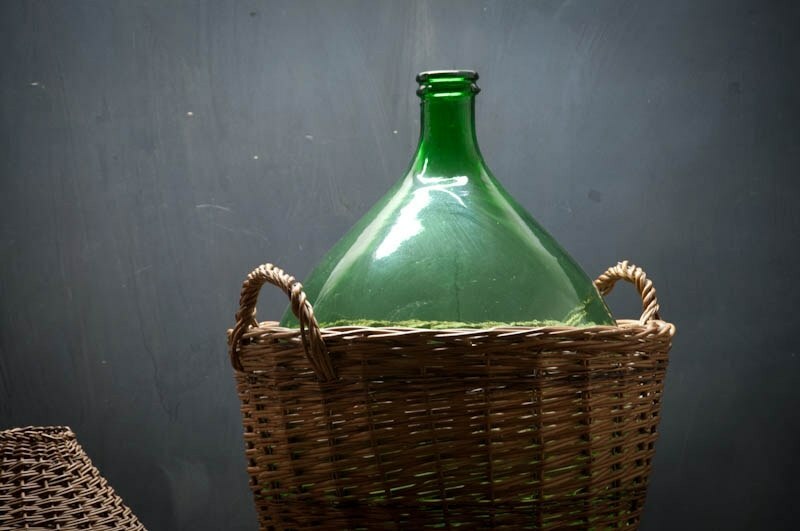 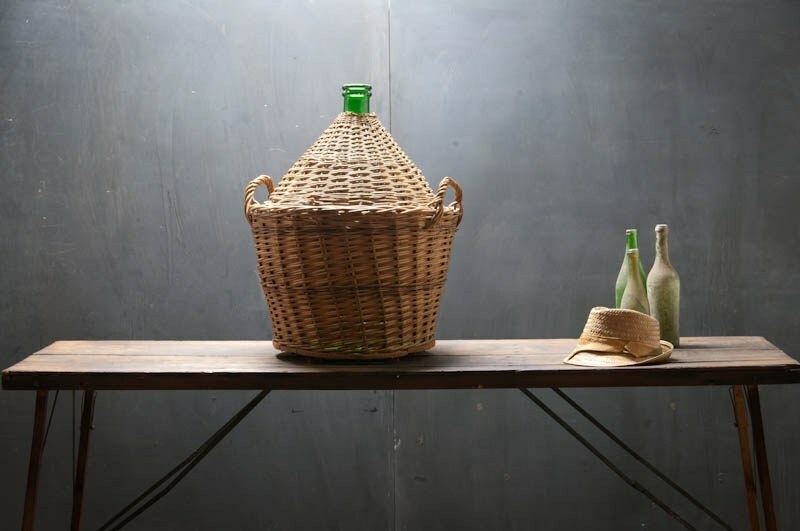 France, 1830s, Vintage Monumental Wicker and Green Glass Hand Blown Demi-John Bottle. 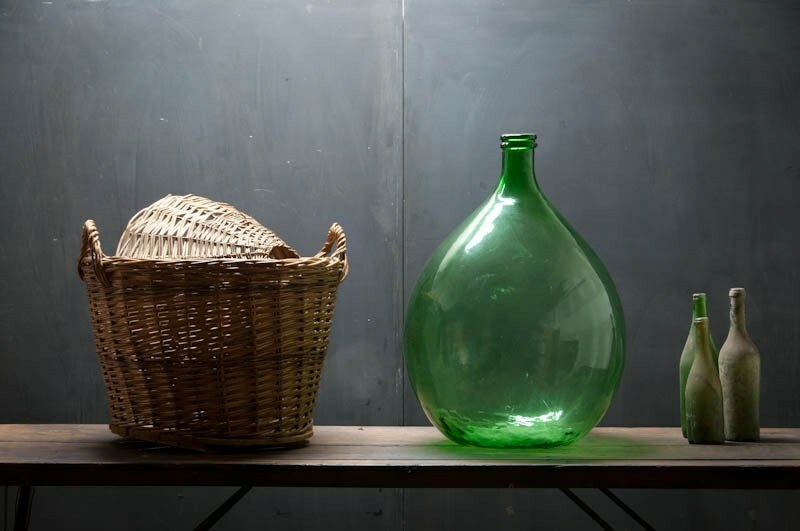 Amazing Example. 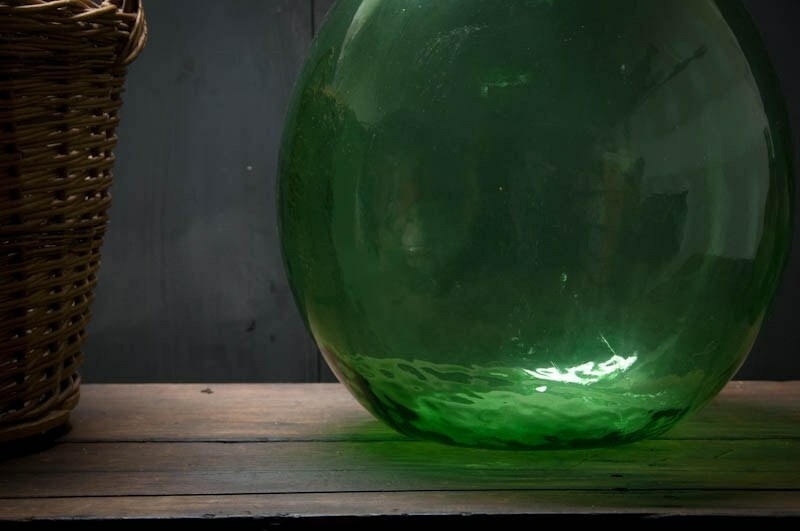 W: 24 x D: 24 x H: 29 in.